Yawns, sits, and lies down. Emoting /sit while targeting it will cause it to walk over, jump onto your lap and lie down. This pet will sit on top of a summoned Pilfered Sweeper toy. This pet is only sold to alliance characters. Horde characters may purchase this pet through a neutral auction house and on occasion through their own auction house. 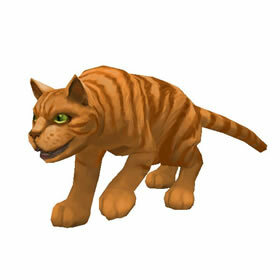 The Orange Tabby Cat is a trainable pet in Mists of Pandaria. However, only Humans are offered this option from Battle Pet Trainers. Once learned, all characters will have access to this pet. Claws at the enemy, dealing 413 Beast damage. Pounces the enemy, dealing 334 Beast damage plus 157 Beast damage if the user strikes first. Deals 295 Beast damage and reduces the target's next attack by 50%. Frightens the target, dealing 197 Beast damage and reducing their speed by 25% for 4 rounds. 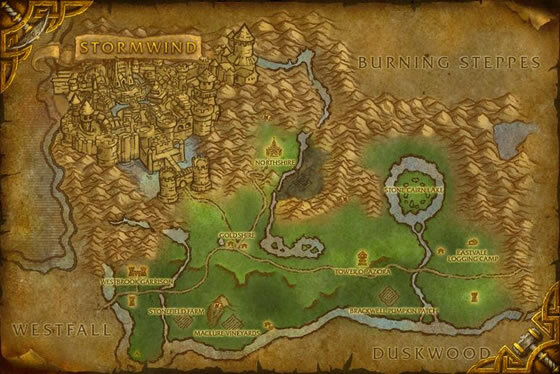 If the user kills an enemy with Devour, they restore 591 health. There are 17 different feline beasts with identical movesets. The only difference (battle wise) is the breed. For the 4 cats that have a breed choice, only the Sand Kitten and the Snow Cub cannot be mimicked by any other breed. The Cheetah Cub is the fastest with 390 speed. The most powerful is the Cornish Rex Cat with 341 power. The healthiest is the B/B Snow Cub with 1481 health. The amount of health restored from using Devour increases with power. Claw/Rake/Devour make this pet amazing for training other pets. Throw out your low-level against a wild Critter, then swap to this Beast to take it out and finish with Devour. You never have to use healing items. The last person who tried to housebreak this cat quickly learned that a soiled rug is better than a shredded everything-else.